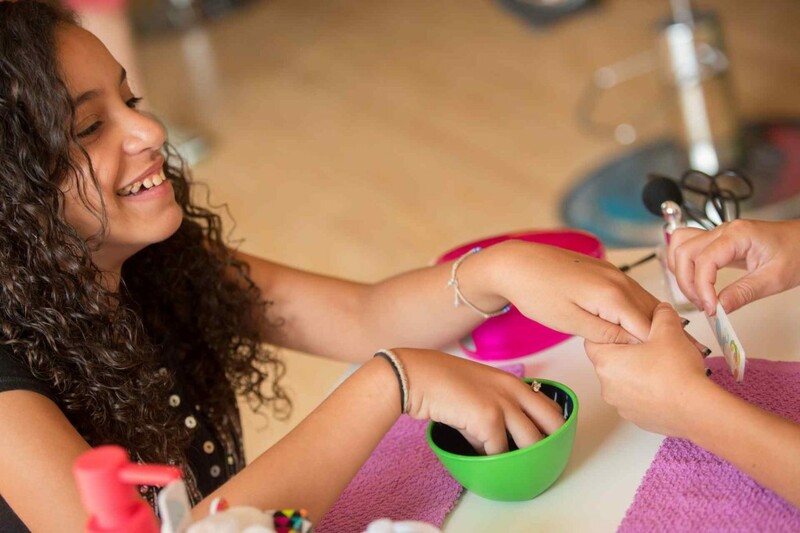 Kids Nail Spa Menu – Just 4 Kids Salon offers the most comprehensive Kids Nail Spa Menu for children in Northern New Jersey! A free parking lot is available, making Just 4 Kids a convenient stop for all North Jersey families! *Parents! In order to serve you better, effective May 1, 2018 – there will be a $5 surcharge for all weekend services. Weekday pricing will remain as posted. 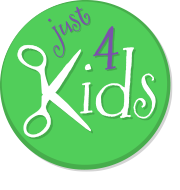 Please note that Just 4 Kids Salon uses organic and all natural nail polish by default for all nail services. We do this for the safety of your children, and believe that using chemical free and non-toxic products is the best way to run our business. With that said, organic nail polish does NOT last as long as adult nail polish and does tend to crack more easily. For this reason, we do keep some adult nail polish available and are willing to use it on your child if you ask for it specifically. Please also check out our robust Hair Spa and Skin Spa menus! Or, book a fabulous party package on our Kids Birthday Party Menu. Check out our Kids’ Hair Salon Menu in more detail! Just click on the links to get more information. Or, you can give us a call at (201) 653-KUTS (5887) to speak with a manager to learn more! You can also Book an Appointment for Kids Salon Services or Birthday Parties automatically by clicking on the orange “Book an Appointment” button above! Finally – Check out some of the GREAT FEEDBACK we have received about our Kids Nail Spa Menu from our customers.